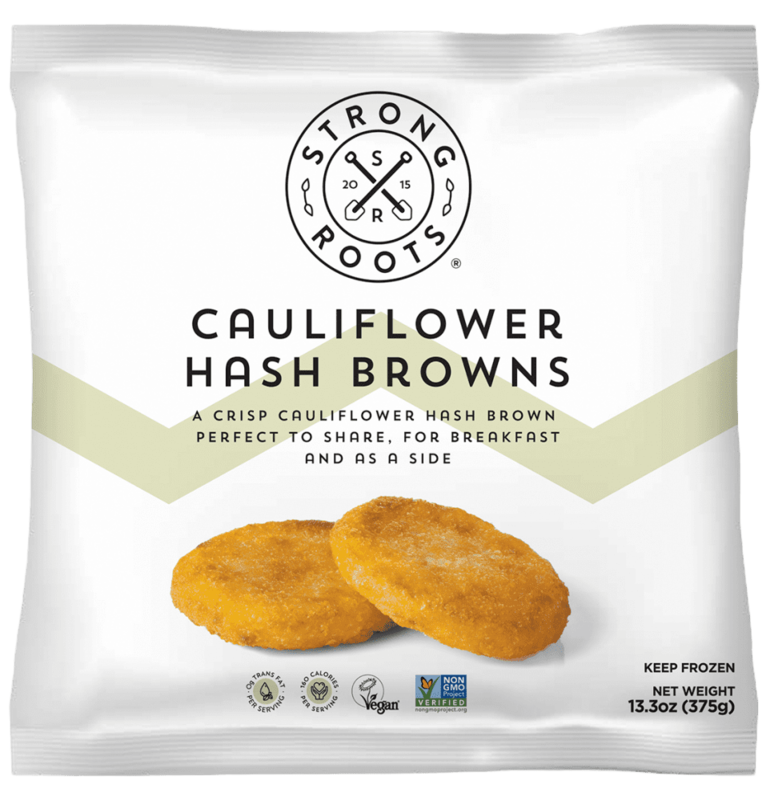 Our Cauliflower Hash Browns are an innovative twist on a classic hash brown. Covered in delicious potato flakes, they crisp to perfection in under twenty minutes. 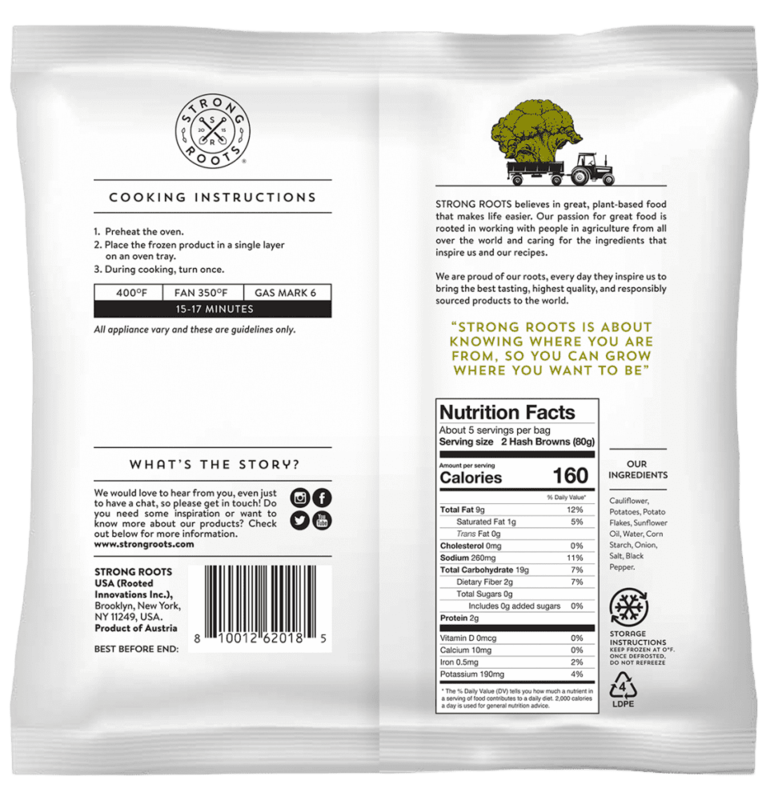 They make for a tasty addition to any meal and are an excellent way of adding cauliflower to your diet! Cauliflower, Potatoes, Potato Flakes, Sunflower Oil, Water, Corn Starch, Onion, Salt, Black Pepper.